Learning how to buy and sell cryptocurrency is an important skill for all trader levels. Plus 500 has made a strong impact and made a good reputation in the CFD market. It has become a financial service entity in countries such as Australia, Cyrus, United Kingdom, and Israel. People use Plus 500 because of its ability to help novice investors navigate through the volatile trading world of cryptocurrency. Since 2013, Plus 500 has become the first online broker to provide a CFD trading option on the world’s first cryptocurrency Bitcoin. This made it a popular choice for anyone that needed to trade in a simple yet effective way. We’ll show you how to use its network to get starting on your crypto trading journey. A cryptocurrency is a virtual or digital currency that is secured via cryptography. Unlike fiat currencies and stock trading, cryptocurrency is decentralized and can be traded at any time. Because of this, it’s becoming a popular choice for investors who are interested in short and long-term trading. Cryptocurrency’s defining feature lies in its organic nature. This makes it theoretically immune to government manipulation interference. Because of this, users can buy and sell cryptocurrency faster than they can than traditional stock options. What are the Benefits of Buying and Selling Cryptocurrency? Low Fees: With cryptocurrency, miners are paid by the network they are using to create the currency. This results in low transaction fees, making it easier for crypto holders to trade internationally. Many people expect that users will use a third party service such as Coinbase. These third-party services help people create and manage their cryptocurrency wallets. Accessibility: As of now, there are about 2.2 billion individuals that have mobile phones or internet, who don’t have access to traditional exchanges. These people see the cryptocurrency market as a way to trade with others without being stopped by government regulation. Because of this, cryptocurrency is easily accessible and is a great way to trade services world wide. Universal Recognition: Since cryptocurrency is not tied to exchange rates, transaction charges, interest chargers, or additional charges within a country; it can be used and trade internationally without experiencing any issues. As a result, you save lots of time and money when you buy and sell cryptocurrency. Within the cryptocurrency marketplace, Plus 500 has created an established reputation. It’s known as one of the most user-friendly and intuitive trading platforms within the CFD marketplace. 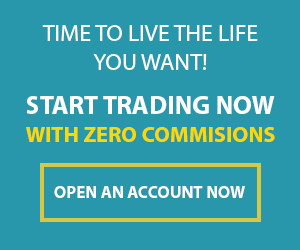 Plus 500 is designed to appeal to entry-level traders and is open to the mass market. For traders who want a straightforward solution to buy and sell multiple instruments (CFD, Stocks, cryptocurrencies, etc.). To open up a trade, start by picking the category of financial instruments on the left hand of the screen. Cryptocurrencies are placed on the crypto tab (for demonstration purposes only). Once you’ve click the cryptocurrencies category, you’ll see a screen that looks like this. Now you can buy and sell cryptocurrency within Plus 500’s exchange. For this tutorial, we’re going to show you how to buy and sell Bitcoin. Bitcoin is the most commonly known cryptocurrency and is good for first-time traders. Click the BUY button to buy Bitcoin from the exchange. We suggest that you create a stop-loss (minimizes your risk) and a stop-limit (capitalizes profits) to ensure that you trade bitcoin safely without losing too much of your initial investment. Whether you’re short-term trading or want to close your position, you can get with Plus 500. Click the SELL button to remove your Bitcoin option and short it. With Plus 500, you can buy and sell cryptocurrency in a clear interface within seconds. Every investor that’s starting of in crypto trading needs a broker that’s reliable and trustworthy. Fortunately, Plus 500 has provided their service in 2008 giving almost a decade of safe CFD stock and trading options. Conclusively, new crypto traders should use Plus 500 if they want to get a good start in the crypto market. Do you have any questions about cryptocurrency or something you’d like to share?